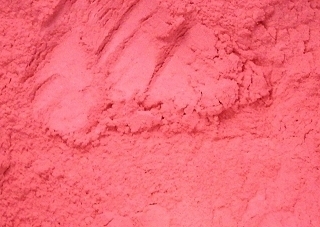 Vibrant pink with a very slight pink shimmer, this shade was designed to work well on a wide range of skintones. It contains no titanuim dioxide or other whiteners, making it ideal to blend on dark skin. See this blush in use on one of our beautiful clientelle here.